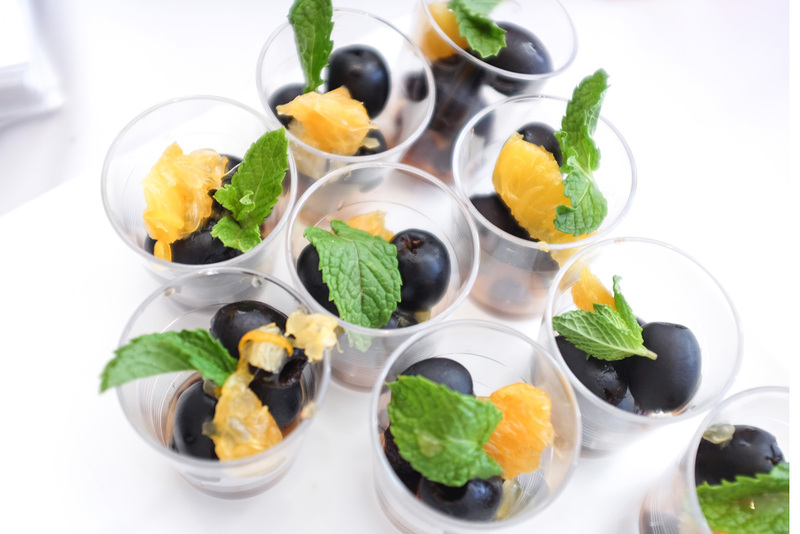 Earlier this week, I was invited to food and wine event, Spain’s Great Match, with Olives from Spain. Picture a day of wine tastings, delicious nibbles and Spanish gastro culture. Yes, I’m pretty much in foodie heaven. As you know, I love to eat my way through a destination whenever I travel. I haven’t made my way to Spain yet, so this event was the perfect prelude. This summer, tapenade has become my favorite aperitivo. 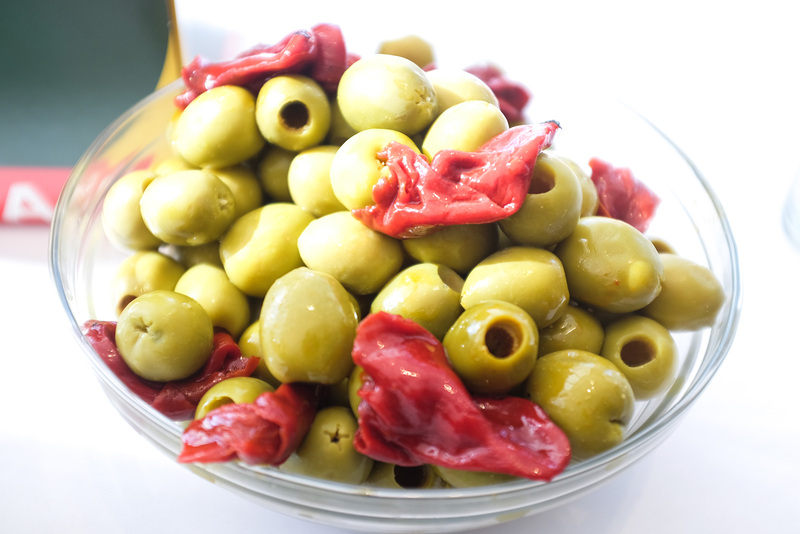 Olives are just so delicious on its own, in marinade or combined with other elements. 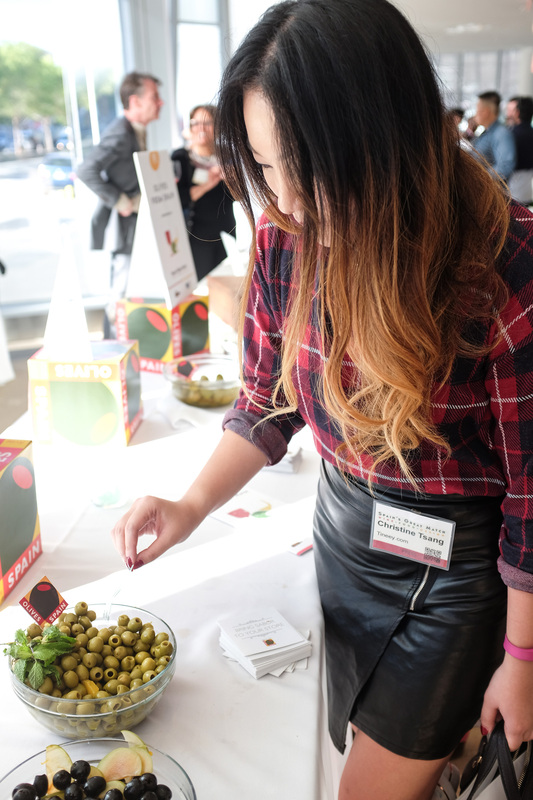 At the event, Olives from Spain had three recipes to try — each using a different type of olive. 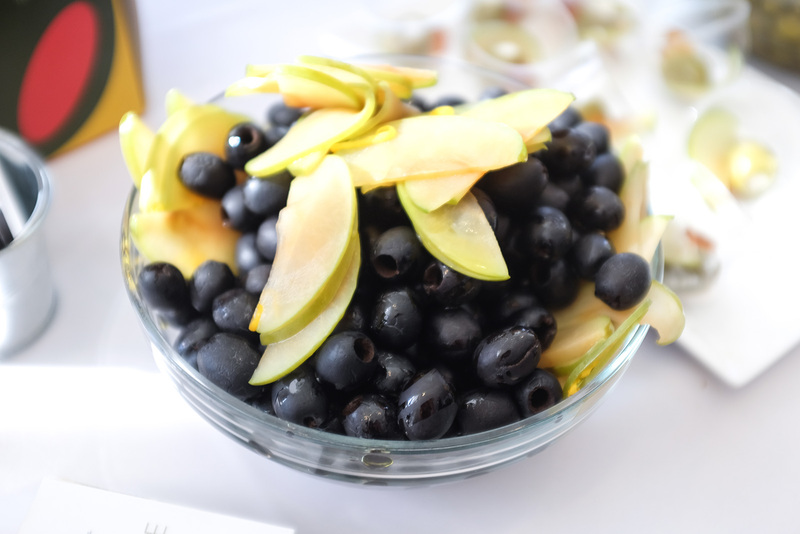 Ever wonder about the different colors olives come in? 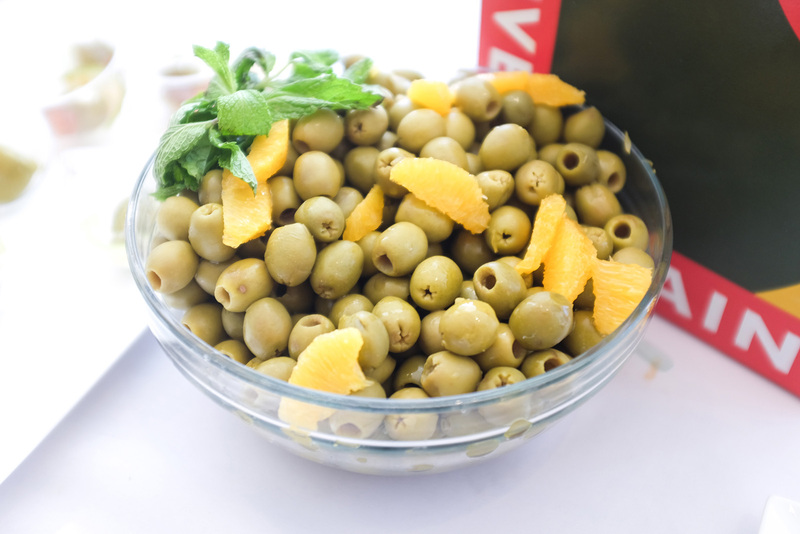 Green olives mean they’ve been harvested at the optimum period. 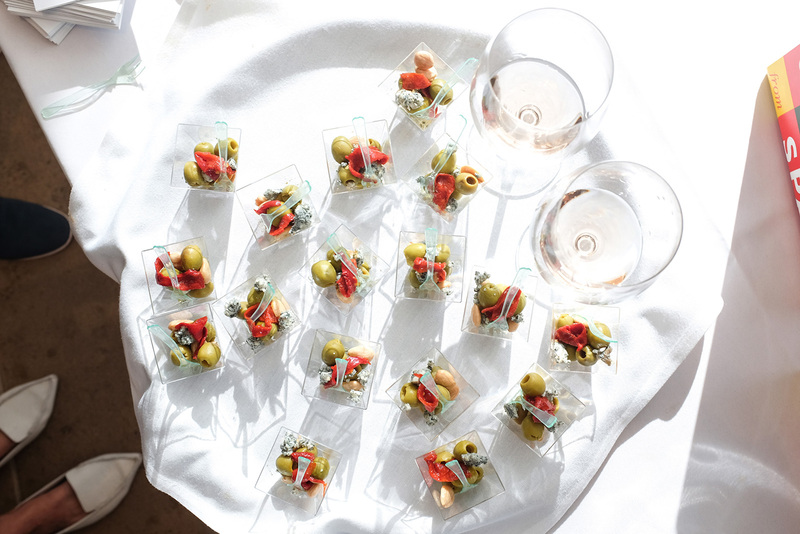 Darker olives mean they are ripe while a pink-wine color means semi-ripe. Black olives mean they’ve been harvested before ripening and have been treated to remove bitterness, hence the color change. My favorite were the Queen olives with goat cheese. I’ve never had honey jelly before and it was really delightful. The green olives with almonds and peppers were also phenomenal. There was a nice savory depth to it. Those two make for really nice recipes while the black olives I could just eat on it on with a nice glass of wine! Of course, I got myself some rosé to pair with the olive tastings. 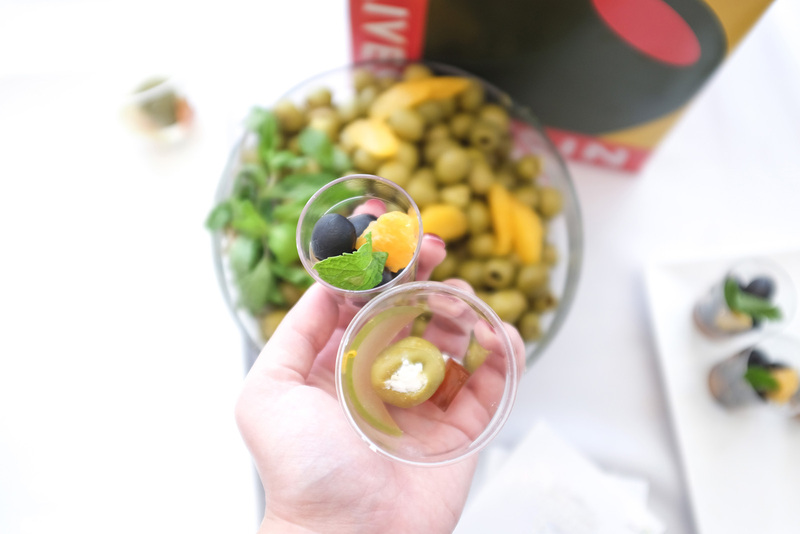 I love a good Mediterranean meal, so olives are always a welcome in all forms. Anyone else an olive fan?